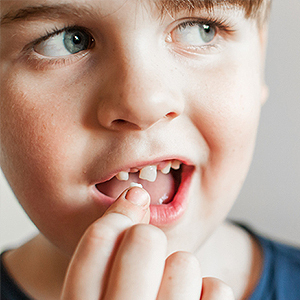 After your son or daughter's dental exam, you expect to hear about cavities, poor bites or other dental problems. But your dentist might suggest a different kind of problem you didn't expect—an eating disorder. It's not a fluke occurrence—a dental exam is a common way bulimia nervosa or anorexia nervosa come to light. That's because the teeth are often damaged by the behaviors of a patient with an eating disorder. Most of this damage occurs because of purging, the practice of induced vomiting after eating. During vomiting stomach acid can enter the mouth and "wash" against the back of the teeth. After repeated episodes, the acid dissolves the mineral content of tooth enamel and causes it to erode. There's also a tell-tale pattern with eating disorders: because the tongue partially shields the back of the lower teeth while purging, the lower teeth may show less enamel erosion than the upper. Hygiene practices, both negligent and too aggressive, can accelerate erosion. Anorexics often neglect basic grooming and hygiene like brushing and flossing, which increases the likelihood of dental disease. Bulimia patients, on the other hand, can be fastidious about their hygiene. They're more likely to brush immediately after purging, which can cause tiny bits of the enamel immediately softened by the acid wash to slough off. In dealing with a family member's eating disorder, you should consider both a short and long-term approach to protect their dental health. In the sort-term the goal is to treat the current damage and minimize the extent of any future harm. In that regard, encourage them to rinse with water (mixed optionally with baking soda to help neutralize acid) after purging, and wait an hour before brushing. This will give saliva in the mouth a chance to fully neutralize any remaining acid. Your dentist may also recommend a sodium fluoride mouth rinse to help strengthen their tooth enamel. For the long-term, your goal should be to help your loved one overcome this potentially life-threatening condition through counseling and therapy. To find out more about treatment resources near you, visit the National Eating Disorders Association website at nationaleatingdisorders.org. Taking steps to treat an eating disorder could save not only your loved one's dental health, but also their life. The vast majority of teeth and gum problems stem from two dental diseases: dental caries (tooth decay) and periodontal (gum) disease. But although these dental diseases are all too common in our society, there’s a good chance you can prevent them from harming your own dental health. That’s because we know the primary cause for both of them—dental plaque, a thin film of bacteria and food particles that can build up on tooth surfaces usually as a result of poor oral hygiene. Remove this plaque build-up daily and you dramatically decrease your risk for disease. The primary way to do this is with a daily habit of brushing and flossing. While regular dental cleanings remove plaque and tartar (calcified plaque) from hard to reach places, it’s your regular practice that removes the bulk of daily buildup. Interrupting plaque buildup helps keep disease-causing bacteria at bay. That also means performing these two hygiene tasks thoroughly. For example, you should brush all tooth surfaces, especially in the rear and along the entire gum line (a complete brushing should take at least 2 minutes). And by the way, “thorough” doesn’t mean “aggressive”—a gentle circular motion is all you need. If you scrub too hard, you run the risk over time of damaging your gums. And while many people discount flossing as a hard and unpleasant task, it’s still necessary: at least half of the plaque in your mouth accumulates between the teeth where brushing can’t reach effectively. 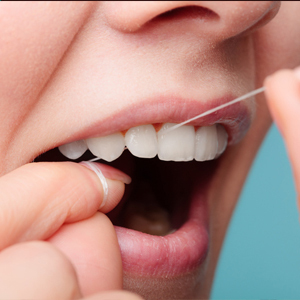 If you find flossing too difficult, you can take advantage of tools to make the task easier. A floss threader will make it easier to get floss through your teeth; you could also use an oral irrigator, a device that emits a pressurized spray of water to loosen and flush away some plaque. Along with dental visits at least twice a year, daily brushing and flossing is the best way to reduce your risk of both tooth decay and gum disease. Avoiding these two diseases will help ensure your smile is attractive and healthy throughout your life. For millions of Americans, sleep apnea is a serious health condition. 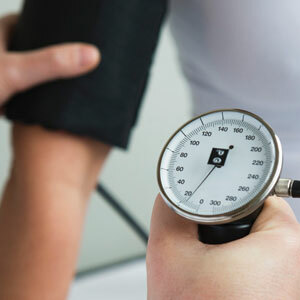 Not only can it impair your day-to-day living, you might be more susceptible to high blood pressure, heart disease or stroke. Sleep apnea occurs when you stop breathing for short periods while asleep. When blood oxygen drops too low, your body automatically wakes you to take a breath. This can disrupt your sleep several times a night. Chronic symptoms like drowsiness, irritability or headaches during the day, or indications you're a loud snorer, are all possible signs of sleep apnea. Fortunately, we can treat sleep apnea. One way is continuous airway pressure therapy (CPAP), a pump device that supplies pressurized air through a mask to keep the airway open during sleep. Although CPAP is effective, some people find it uncomfortable to use. There's a more comfortable option for sleep apnea caused by mouth structures like the tongue or tonsils obstructing the airway. It involves a custom-fitted oral appliance worn while you sleep that moves these structures out of the way. Such appliances come in two basic types. One type fits over the upper and lower teeth and uses tiny metal hinges to move the lower jaw and tongue forward away from the airway. The other fits around and presses the tongue down like a tongue depressor to move it forward. Before starting treatment, we need to first find out if you actually have sleep apnea and what's causing it (some cases may be more acute and require advanced treatments like jaw surgery). We'll need to perform medical and oral exams and take a history, and we'll likely refer you to a sleep medicine specialist for further testing. If you have obstructive sleep apnea, a custom-fitted appliance could be a good solution. We'll create and adjust it according to your particular mouth and jaw contours for maximum comfort. Besides the appliance, you might also lose excess weight, adjust your sleep position, seek treatment for allergies, and quit smoking. All these could help reduce sleep apnea. In any event, your first step is to find out if you have sleep apnea. From there we'll help you find the right treatment to improve your overall health and well being.